All this year 2012 it will be 30 years since Grandmaster Loh now a 10th Dan Taekwondo expert opened one of the earliest if not 1st Taekwondo classes in Scotland in Cumbernauld, this class is still going strong today, its also the 28th anniversary of the Falkirk club. So well done to Grandmaster Loh for showing the true Taekwondo Perseverance spirit in keeping these clubs alive. 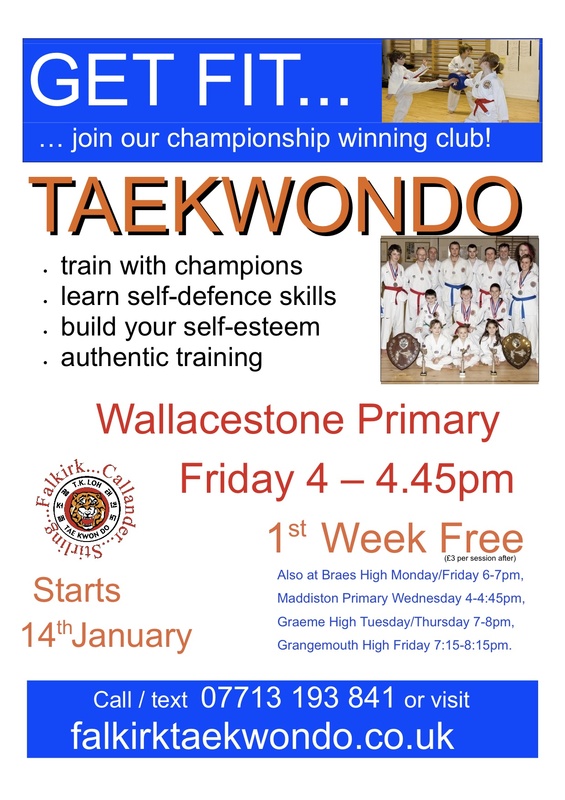 A student needs to train consistently, to achieve the high standards within their Taekwondo skill level and health wise. If they do not maintain a consistent training regime they will forget their techniques and poomsae then fall by the way side as others will pass them by. 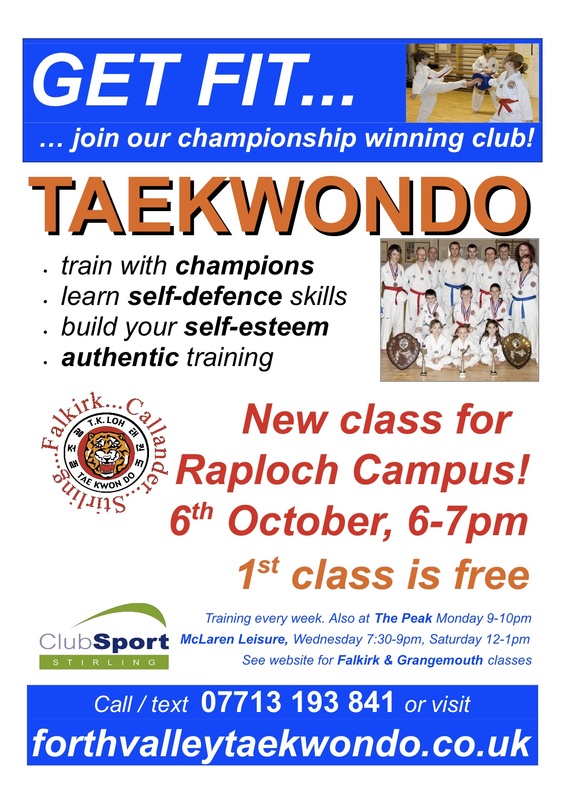 Had the 1st night teaching in the Raploch Stirling last night, session was well attended new students seemed to enjoy the experience, next session is the 20th October. All during the summer our venues change, see the Summer Schedule for venue and day changes. Normal schedule will resume after school holidays.